On my goal page, number 8 on my list is to grow my hair long enough to donate it. I’ve known numerous people who have both survived and lost the fight with cancer. About three weeks ago at church, it was “crazy hair night”. I told the story of Samson and how his hair gave him strength. With cancer patients, hair is also a symbol of strength since more often than not, patients lose their hair through chemo or radiation. 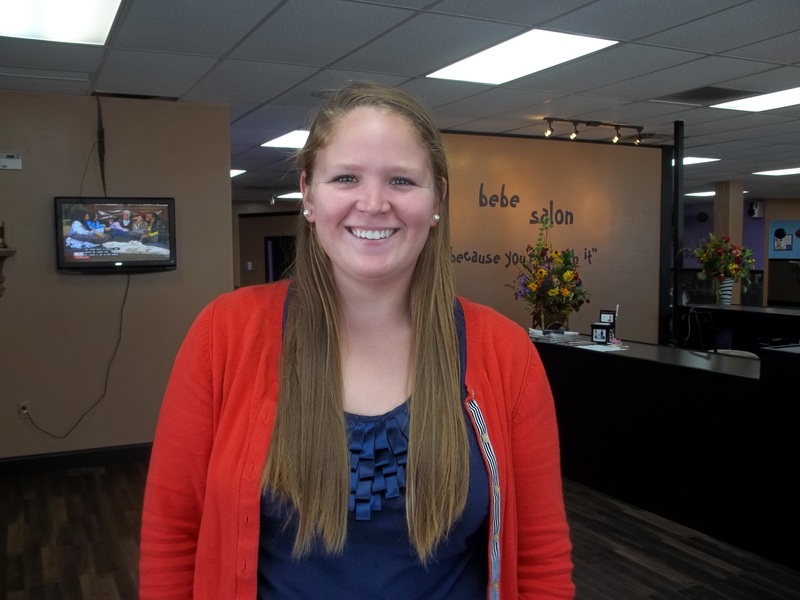 The thought of growing your hair back is one step closer to getting your life and strength back. So I called a local salon to make my appointment. I teared up on the phone at the thought that in a few short days, my hair would be gone. I had a tomboy bowl haircut from the age of 5 until the eight grade. Since growing it out, my hair has became my own symbol for being girly and feminine. The thought of cutting so much off scared me, but I just kep telling myself that it was going to be worth it. I took AL with me to my appointment for emotional and moral support. 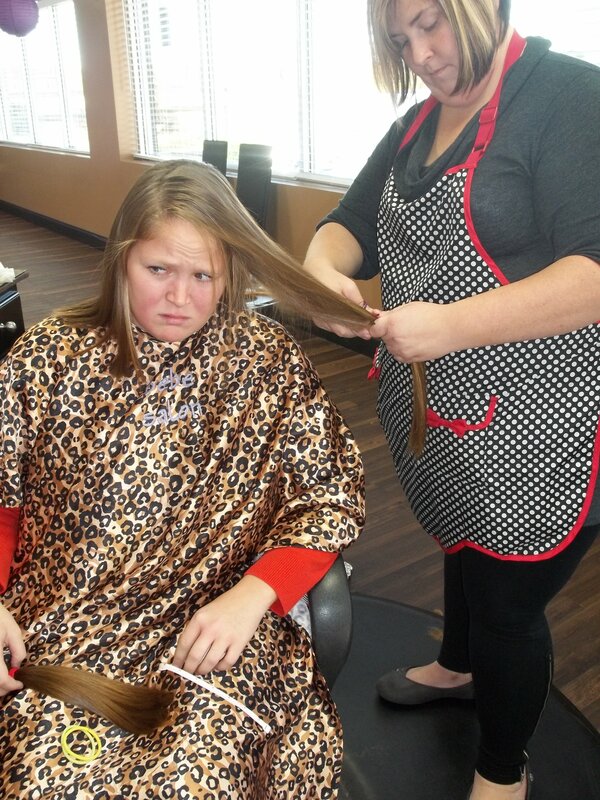 She was also there to aid in telling the stylist what exactly I wanted the finished product to look like. My hair is incredibly thick, so we were able to make 3 seperate ponytails to be cut off. The lady chopped off the first ponytail without even telling me and then reality set in that my hair was going to be shoulder length. Wowzuhs! Not so happy with that crazy lady!! Some major freaking out occured during the haircut, and my stylist was rude and not very sensitive. She stopped several times to text her Baby Daddy and then called me bipolar for not liking my haircut. Through all of this, I was satisfied with the fact that someone will now be able to have hair thanks to my sacrifice donation. Can't even watch what is happening. 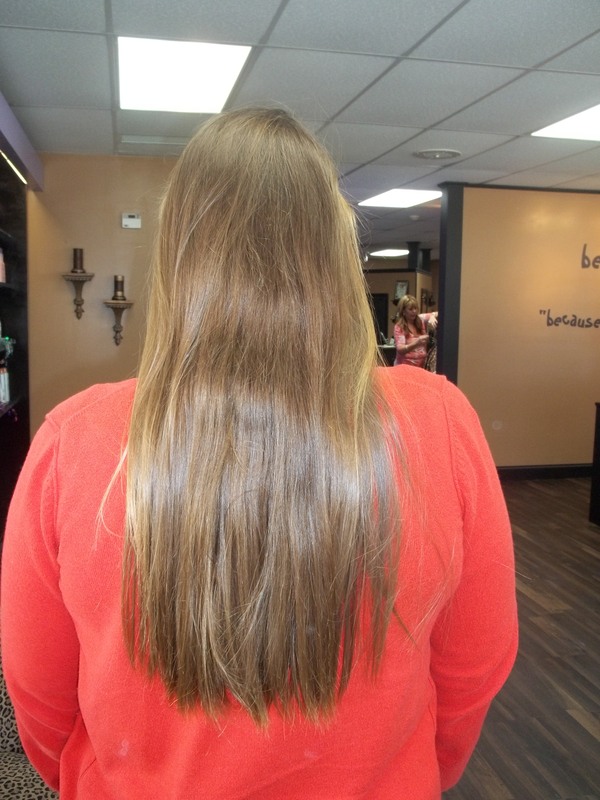 If you have long hair, or you would like to have long hair, I would highly recommend cutting it to donate! It doesn’t take long and it is a great way to give to others who really need it. 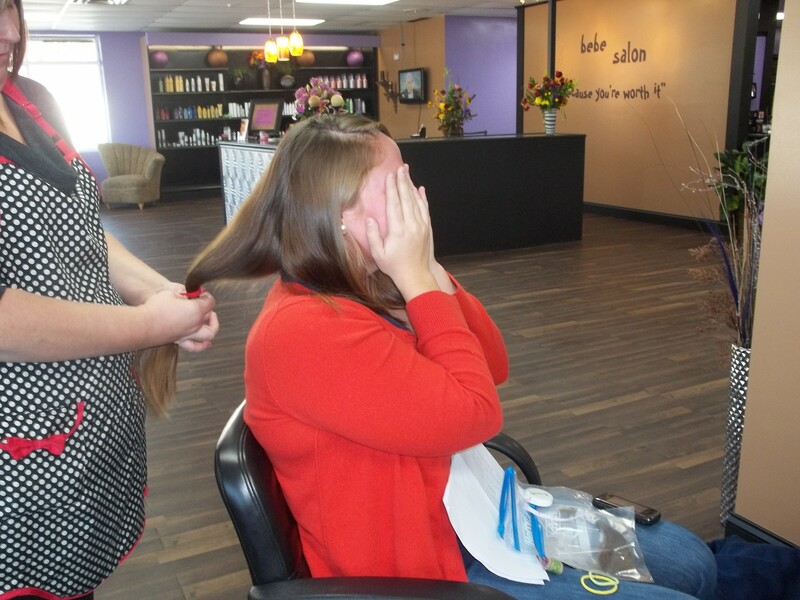 There are different groups that accept donated hair. 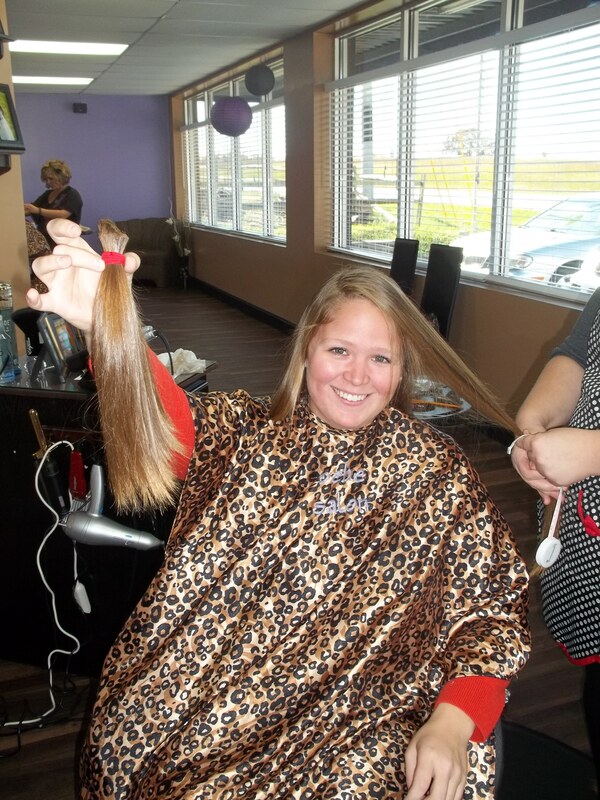 I chose the Pantene Beautiful Lengths charity since ponytails only have to be 8 inches. 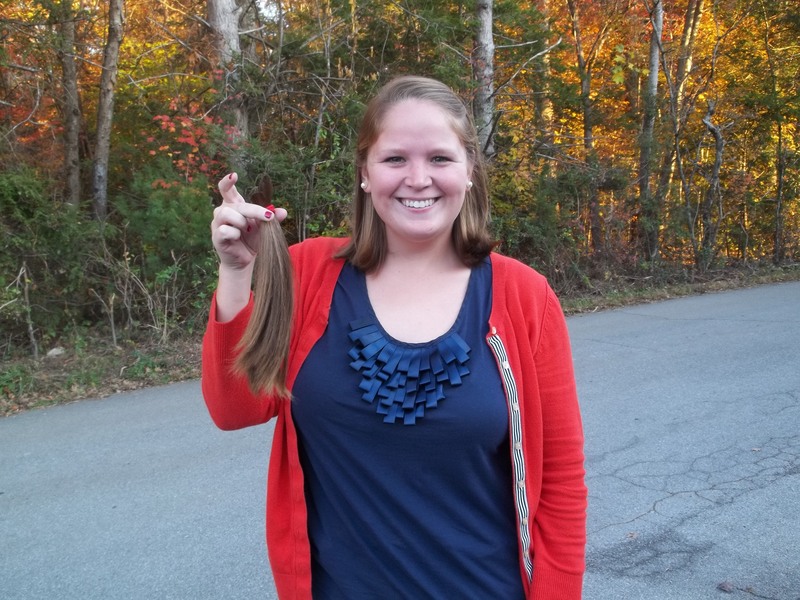 A few years ago, my mother donated hers to Locks of Love. Try it, and make a difference through hair donation. Your hair looks super cute short! 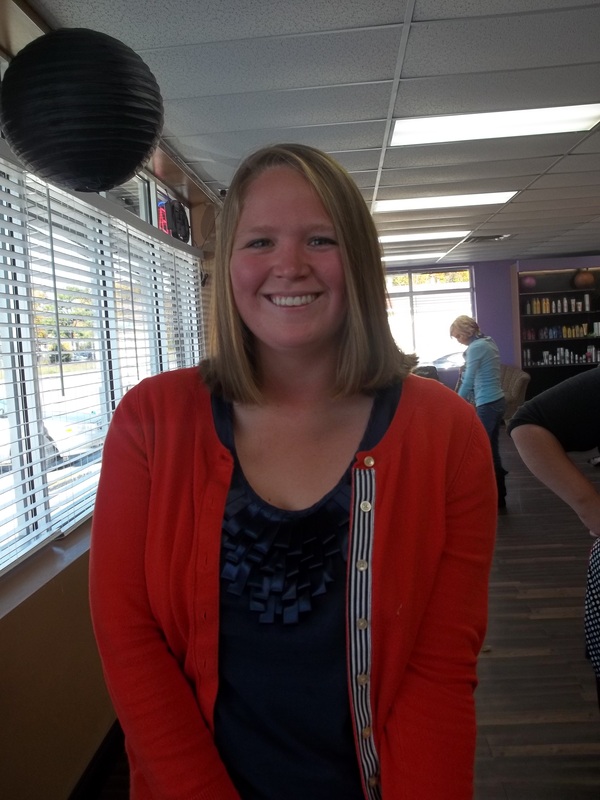 I donate hair a few years ago…I need to do it again! Your hair looks great short! I hate when stylists act like that. Helloooo…. this is my hair we are talking about here. People look at it every day, so yes I will freak if I don’t think it looks good! This is a goal of mine for next year. I’ve had short hair for YEARS and I figure if I set a goal to donate my hair then surely I won’t chop it in January (as I seem to do each year).